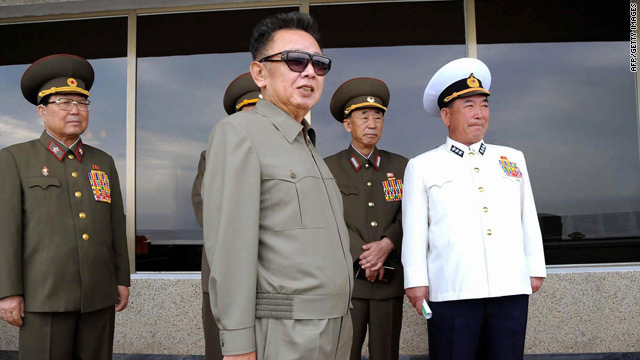 An undated photo, released September 13, shows North Korean leader Kim Jong Il inspecting the Korean People's Army. (CNN) -- Thousands of North Koreans converged on Pyongyang's Kim Il Sung Square in support of the government's policies for 2010, set forth in a New Year's Day editorial, state-run media reported. Premier Kim Yong Il was among the officials of the communist government who attended the rally, which drew more than 100,000 people in Pyongyang on Saturday, the Korean Central News Agency reported. Choe Yong Rim, a Pyongyang city official, called on North Koreans Saturday to "concentrate all efforts on improving the people's standard of living," by focusing on the development of light industry and agriculture, KCNA reported. He also called on basic industry sectors to supply "electricity, coal and raw and other materials needed for the economic development and the improvement of the standard of people's living in the capital city, dynamically push forward the construction of 100,000 flats in Pyongyang and bring about innovations in city management," according to KCNA. In Friday's editorial, North Korea also stated its commitment to lasting peace and a nuclear-free Korean peninsula, according to KCNA. "The Workers' Party of Korea and the government ... will strive to develop relations of good-neighborliness and friendship with other countries and achieve global independence under the unfurled banner of independence, peace and friendship," KCNA reported the editorial as saying. Analysts also have said that North Korea is desperate to break out of its diplomatic isolation and ease its economic pain, especially after the U.N. Security Council imposed tougher sanctions on the country in response to Pyongyang's nuclear and missile tests during 2009.